Watch the short video above to learn how to make this quick, easy and delicious quest bar berry tart. 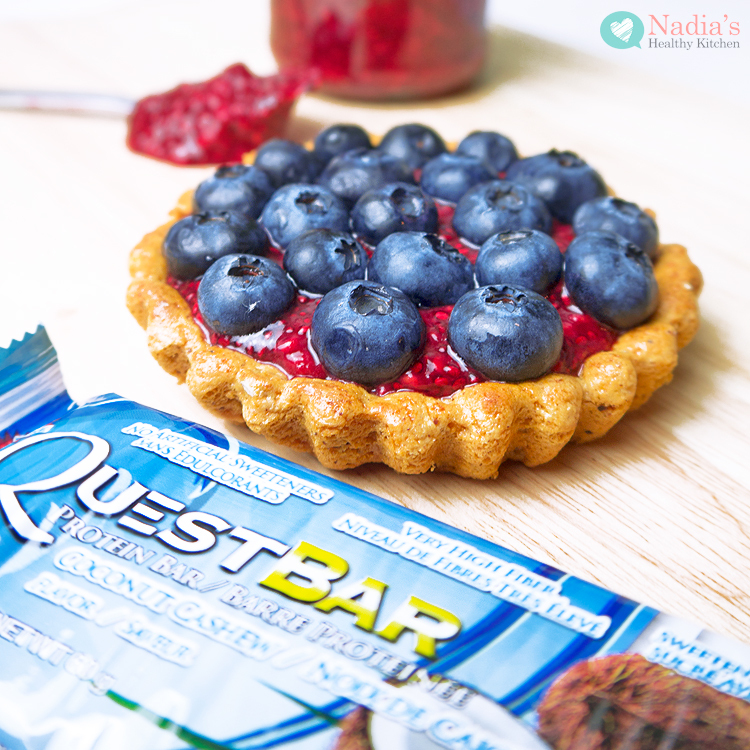 If you would like to WIN a selection of QUEST BARS make sure you watch the video to find out the simple rules to enter. The first I tried a Quest bar was when my lovely Instagram friend (Evie @evscleanstart) sent me some for my birthday last year and I instantly fell in love with them! They were all over social media and I was so eager to try them, but they were no where to be found here in the UK which was so annoying. To have them shipped from the US would have cost a fortune! Luckily I have an amazing friend all the way in Canada who was kind enough to hook me up with a few of their amazing flavours! 2. 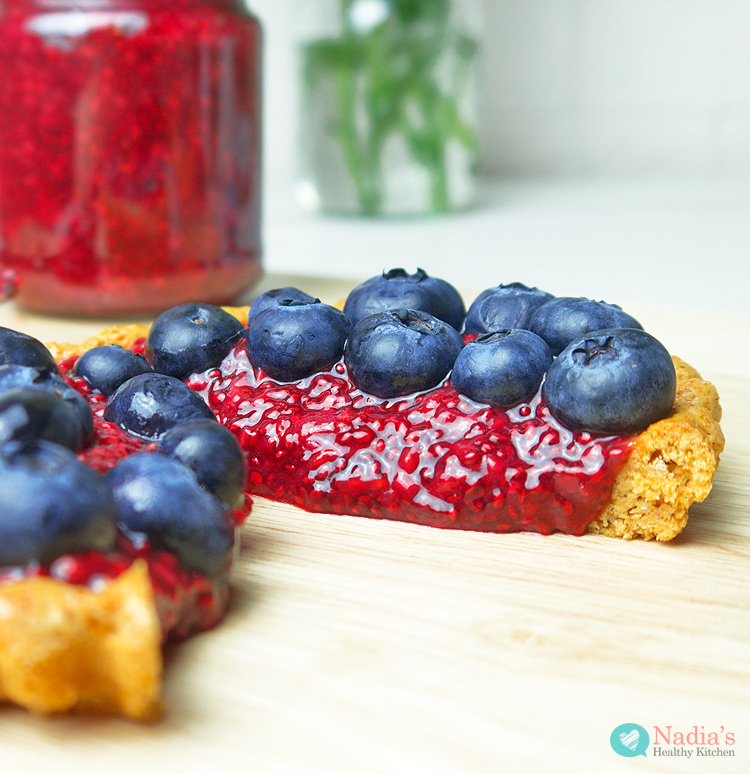 You can use them to make healthy desserts – you can even make speedy cookies by dividing one bar into 4 pieces and then baking them in the oven for 5 minutes! 3. Made of good quality ingredients! 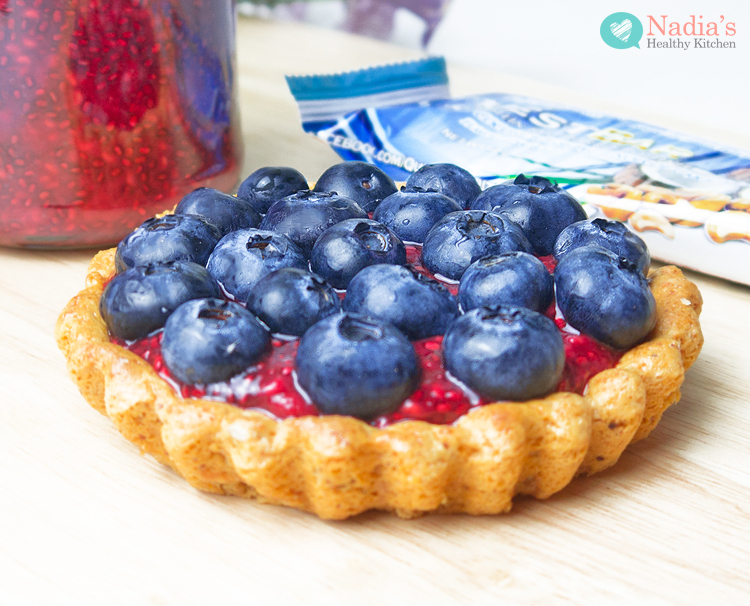 I’m showing you how to make this super easy Quest bar berry tart recipe using homemade chia raspberry jam and decorating with blueberries.